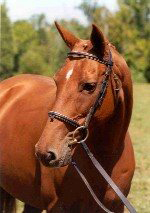 As a granddaughter of Iron Spring's Romer, Wrummy possesses 75% German blood. 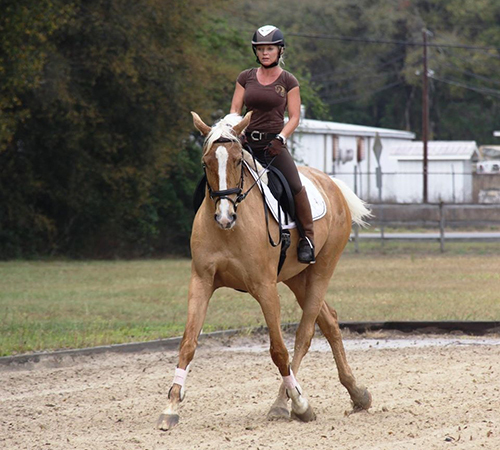 She is as elegant and refined as a Thoroughbred, and has the elasticity and amplitude of a Warmblood. She is branded and was awarded Premium status at the Oldenberg inspection. 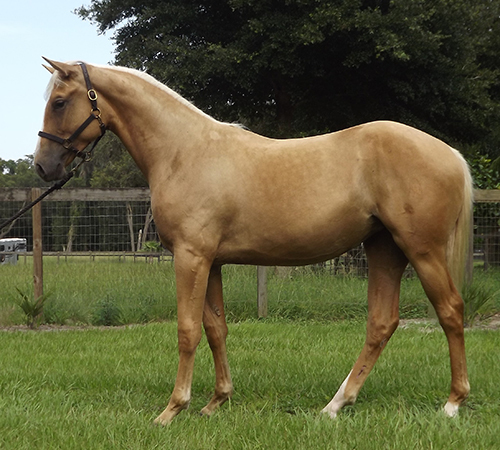 She is in foal for 2015 to our stallion Blue Eyed Dream GF. 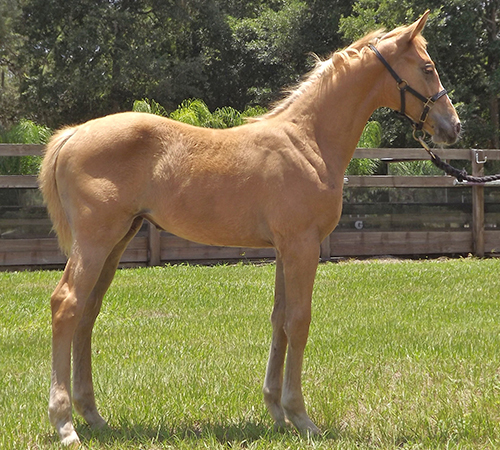 Wrummy has produced 4 First Premium Premier AWR offspring and 3 First Premium AWR foals. 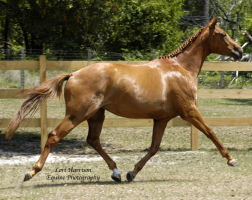 Several of her offspring are now grown and competing succesfully in the dressage ring scoring consistently in the 70's from first to third level. 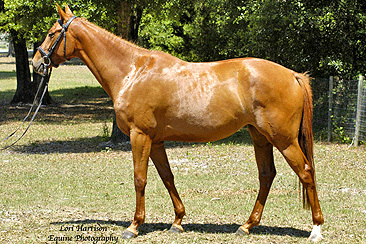 She has become our top producing mare and we are looking forward to her future offspring! 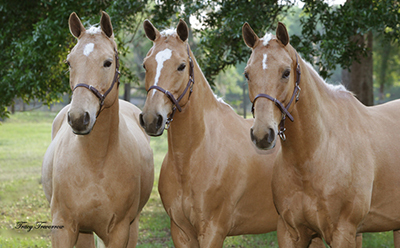 Three of Wrummy's offspring left to right: Montego, Buttercup and Benji. Awarded First Premium with AWR. Awarded First Premium Premier score of 8.3 , AWR Inspection Site Champion and AWR East Coast USA Regionla Foal Futurity Champion! 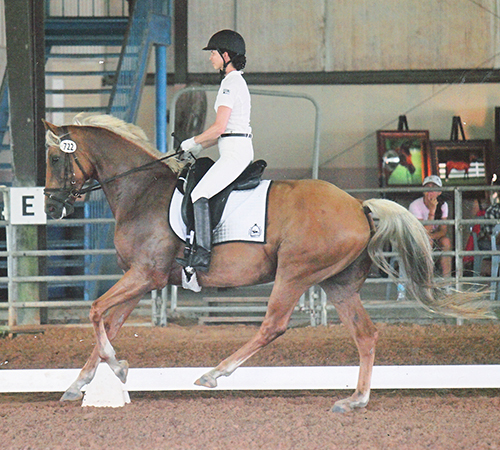 Bakara was sold and is currently competing in Third Level Dressage with her owner, earning scores as high as 67%. 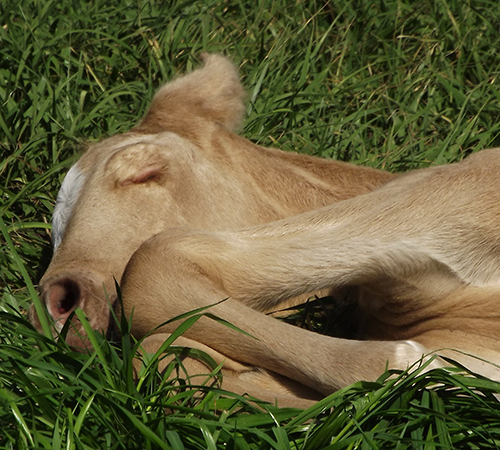 Awarded First Premium Premier with a score of 8.1 and AWR Inspection Site Reserve Champion. 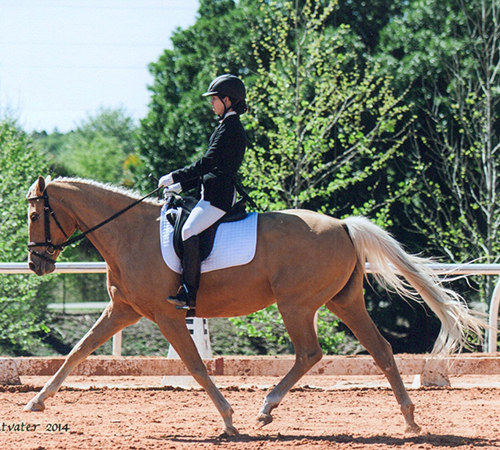 Benji has scored as high as 77% in First Level Dressage and 75% in Second Level Dressage and is currently schooling third level. He is also trained in carriage driving. 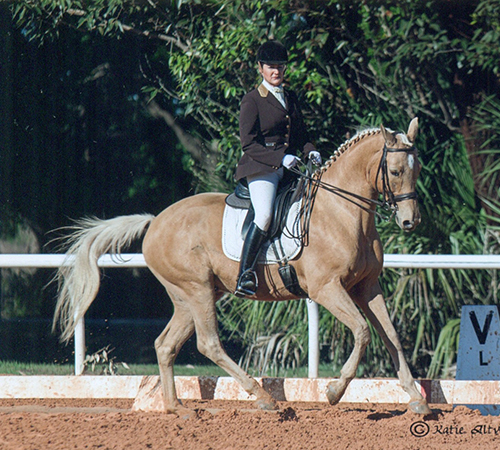 Montego has scored as high as 70% in Third Level Dressage and is also training in carriage driving and was awarded 2010 AWR Pairs Driving Champion. 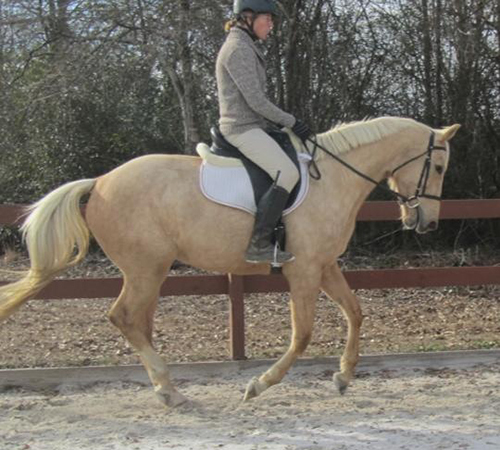 Buttercup has scored as high as 71% in Second Level dressage and is currenty schooling 3rd level. As well as producing a filly of her own which was awarded First Premium with AWR and two additional offspring via surrogate, a filly who recieved First Premium Premier status, and a colt who received First Premium status with AWR. She also train in carriage driving and was awarded 2010 AWR Pairs Driving Champion.